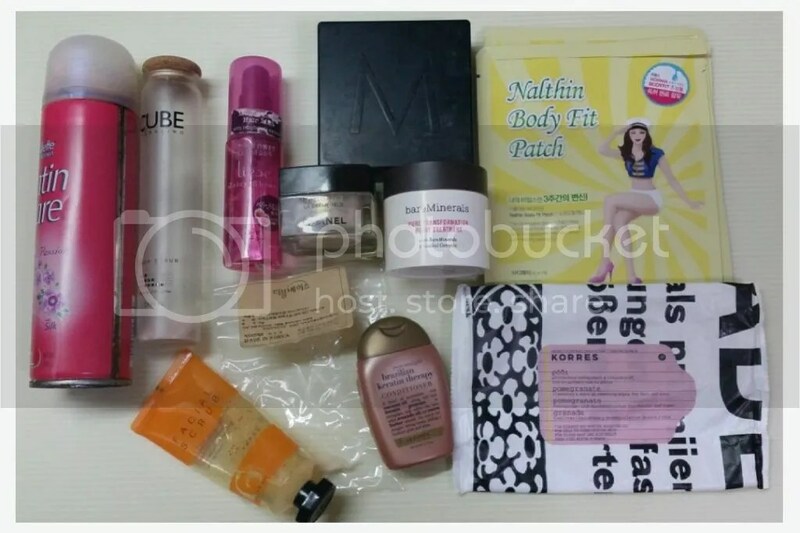 Holy crap, time flies so quickly, and now I’m at my final empties post for 2014! Where did the year go? So much have happened in 2014 that I really felt like the year just disappeared. Anyway let’s see what I’ve used up in the last month of the year! I’m still a shave gel and shaver kind of person and I love using this – not too into epilators and hair removal cream; this allows for a smooth shave with no nicks and smells pretty nice. Will repurchase. Got this from a Memebox; I used it in my bath – the cubes are so small that it was only enough for 2 baths. The scent wasn’t obvious. I couldn’t even see/smell that it was in my bath. One of my favourite hair mist. I have repurchased this many times before. This makes my hair smell good, and I think keeps it nicely moisturised, leaving it nice and soft, with less tangles. My favourite brush cleanser. It’s quite pricey but this cleans out everything without drying out the brush bristles. Have purchased many times and will keep repurchasing. Reviewed here. A very luxurious and thick eye cream, but it also comes with a luxurious price, so I won’t be repurchasing it unless I strike the lottery. Plus I have a stack of eye creams to run through. Reviewed here. An utterly useless skin ‘treatment’. This is just makeup for you to sleep in so that you wake up the next morning looking pretty… because you have makeup on. Lame. Reviewed here. This works fine, although it doesn’t really feel like a scrub as I like my physical scrubs to be a little more ‘scrubby’. I think it will be good for sensitive skin. Won’t repurchase. Got this from a Memebox. The chocolate scent for this is pretty strong. I’ve been using this as a handwash as I’m not really into using bar soaps and it’s kept my entire toilet smelling of chocolate. A little gym companion. I quite like it; this keeps my hair nice and soft. The last of my stock – they don’t really work, not that I was really expecting it to. A little on the fence about this – I find this a bit too dry for my liking. I’m not too sure if it’s naturally this dry or that I have a faulty package. Crap at removing eye makeup too, but most cleansing wipes are. That’s it for Part 1 of my December 14 empties – not the most exciting empties post but stay tuned for part 2, I promise that there will be more interesting products as well as more makeup related items!